The theory of evolution states that the species arose spontaneously, one from another via a pattern of common descent. This means the species should form an evolutionary tree, where species that share a recent common ancestor, such as two frog species, are highly similar, and species that share a distant common ancestor, such as humans and squids, are very different. But the species do not form such an evolutionary tree pattern. In fact this expectation has been violated so many times it is difficult to keep track. These violations are not rare or occasional anomalies, they are the rule. Entire volumes have been written on them. Many examples are the repeated designs found in what, according to evolution, must be very distant species. 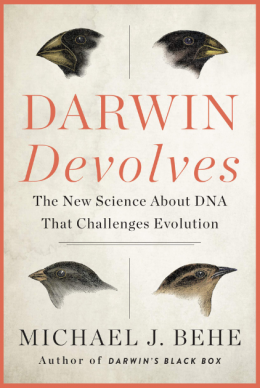 Such evolutionary convergence is biology’s version of lightning striking twice. To explain this evolutionists must say that random mutations just happened to hit upon the same detailed, intricate design at different times, in different parts of the world, in different ecological niches, and so forth. The idea that the most complex designs we know of would spontaneously arise by themselves is, itself, not scientifically motivated and a real stretch of the imagination. But for the same intricate designs to arise independently by chance is even more of a stretch. That is why evolutionist’s claim this week that they have found evidence for convergent evolution was so intriguing. In mammals, hearing is dependent on three canonical processing stages: (i) an eardrum collecting sound, (ii) a middle ear impedance converter, and (iii) a cochlear frequency analyzer. Here, we show that some insects, such as rainforest katydids, possess equivalent biophysical mechanisms for auditory processing. Although katydid ears are among the smallest in all organisms, these ears perform the crucial stage of air-to-liquid impedance conversion and signal amplification, with the use of a distinct tympanal lever system. Further along the chain of hearing, spectral sound analysis is achieved through dispersive wave propagation across a fluid substrate, as in the mammalian cochlea. Thus, two phylogenetically remote organisms, katydids and mammals, have evolved a series of convergent solutions to common biophysical problems, despite their reliance on very different morphological substrates. It is another curious example of biological convergence, so rather than attempt to deny the undeniable, evolutionists now claim it as another confirmation of evolution. I’m a software engineer, and we re-use components all the time for different programs that have no “common ancestor”. E.g. – I can develop my String function library and use it in my web application and my Eclipse IDE plug-in, and those two Java programs have no common ancestry, but they do have a common designer. So you find the same bits in two different programs because I am the developer of both programs. Previously, I blogged about another example of convergence reported by Science Daily. One of the predictions of intelligent design theory is that examples of convergence, which is really just re-use of common code by the designer, will be everywhere in nature. And that predictions just keeps getting confirmed as science marches forward, and the primitive religion of naturalism retreats. Another argument along these lines that I have never heard anyone else make is that some of the similarities in living things are due simply to physical constraints. The laws of physics and the properties of matter dictate that similar problems, in many cases, be solved similarly. Have an animal that lives in water and needs to be fast? It’s going to have to be streamlined in shape. Have an organism that ingests lactose? It’s going to need the enzyme lactase to digest it. This goes above and beyond the idea of a designer simply re-using designs for economy’s sake or artistic flair. There may well be cases where ONLY one design will actually solve the problem and thus you have organisms with similarities, not because the designer was wanting to show His fingerprint, but because there was no other way to do it within the physical constraints. Now a lot of the atheist/evolutionist types, when faced with the argument that similarities could be due to common design, ask why God would re-use designs and make it look like common descent. They seem to have an idea that God (if He existed, of course) could do absolutely ANYTHING, that He could make organisms in an infinite number of ways, that He is totally unlimited in how He could create things. So making things similar is somehow cheating or unimaginative or deceptive. However, there is good reason to think that this is NOT the case. Once God has established a consistent set of physical laws (so that the universe runs in an orderly and predictable fashion without constant miracles…which makes science possible, btw), and once He plans to have a food chain such that organisms can ingest other organisms and use the stored energy and organic building blocks for their own use, then He is severely limited in how he can design those organisms. All living things must be carbon-based and composed of 4 major types of macromolecules, for example, in order to make a common food chain possible. If an organism needs to be able to eat a particular food, it must have the particular enzyme that will fit like a lock and key with that molecule and break it down. There are only so many sequences of amino acids (in many cases only one or perhaps a few) that will produce just such an enzyme for that task. And, of course, needing a particular sequence of amino acids requires the particular DNA sequence that codes for it. Thus it is no surprise that many organisms have similarities in DNA. They are solving many of the same problems, carrying out the same tasks in order to live, and thus need the same DNA code in order to get the proper tool for the job. It’s like having similar houses that have similar blueprints. No one is surprised by that in architecture, so why do they suddenly wonder why unrelated organisms solving similar ecological problems show genetic and morphological similarities? It’s an obvious case of common design within common physical constraints. Try using your String Library by removing the ancestor library for example RT.jar from one of the application and prove that your library still works. Lindsay Harold wrote a detailed and thoughtful response. I wish Dr. Hunter or others would reply.